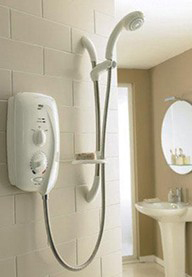 Harvey Electrical Services offer a shower service to wire, plumb and tile. We can save you time and money from the cost of hiring additional companies. Harvey Electrical Services will look after the job from start to finish, including tiling if required. Need your bathroom wiring, plumbing and tiling? Harvey Electrical Services can do all three for you meaning that you do not have to hire a number of different companies for each job. Don’t worry, you will be in safe hands with us, we will look after the job from start to finish. No job is too small or too large for us.